Derby Firelec is a leading LED lighting supplier for petrol stations across the UK. We have fitted a range of stations; Shell, BP and Texaco among the many names who have benefited from our services. We also fit panel lights in office buildings or any establishment looking to revamp their look - we have never had a customer dissatisfied with their performance or quality. Please note, our panel lights are strictly for indoor use whereas our canopy lights are strictly outdoor due to their high output. 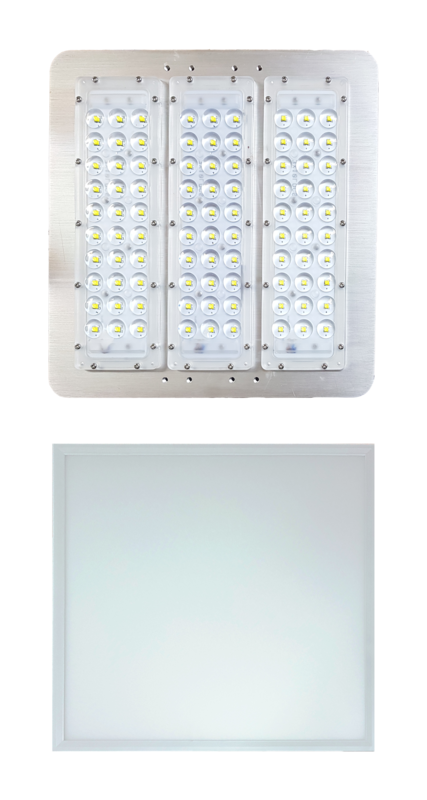 All our LED products are sourced using the best materials and our Panel and Canopy lights come with a 5 year warranty. Please visit our Lighting section to view our whole range of LED products including tube lights, lamps, battens, downlights and more. We also offer electrical inspections of hazardous areas such as petrol stations, click here to find out more. When making a decision on something as vital as this, more than anything else you need to be able to TRUST the service provider. At Derby Firelec, high quality products and exemplary service standards, have earned us a wide base of loyal customers from around the UK, that seek our advice to better their safety standards because they trust us. You can too.